The PangeaMT team delivered a sponsored webinar on PangeaMT under the auspices of GALA, the Globalization & Localization Association on Thursday, 26 September 2013 (11:00 EDT / 17:00 CEST). Under the title The PangeaMT Platform: User-Empowering and Data-Driven, In-Domain Machine Translation, the webinar was meant to make the audience fully aware of the most innovative and user-empowering features of this solution. About a hundred people from all corners of the world, from buyers heading global content and localization management departments at enterprises from a wide array of industry verticals, language service providers of all sizes, to MT intrigued freelance translators registered to the webinar. They were all curious about latest translation automation technology trends and application models. 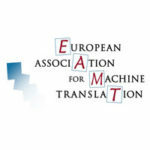 They discovered the potential of expanding their own machine translation (MT) eco-system through a custom PangeaMT solution. 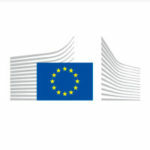 Machine translation (MT) has been increasingly in multilingual content production settings at translation corporate departments and businesses only in the last few years, even if MT as a discipline has been around for well over half a century. The non-stop growing demand for translation and access to information originally produced in other languages has been particularly responsible for a constant quest for a trouble-free and cost-effective MT implementation. While some players have succeeded in that quest, plenty have also been discouraged by overpricing, lack of process transparency and ease of use, dubious manipulation of engine training data, etc. In the webinar introduction, Manuel Herranz, Pangeanic’s CEO, explained how the company turned into a customized machine translation technology provider at international level on top of their established technical translation business – particularly out of their own needs as a translation agency and a strong wish to do things differently. The webinar was made pretty interactive through the administration of a couple of polling questions. When asked “How important do you think it is for the user to have a say in the way their data and their engines are managed?”, the respondents considered this as Very Important (85%) or Important (15%). This shows that MT clients and end-users are really willing to adopt MT solutions that allow for self-management and control over bilingual data training sets and custom MT engines. Gone are the days where a MT user was satisfied enough with requesting machine translation output only. MT vendors still offering opaque MT querying alone will have to adapt to new user-empowering MT models, or else they will end up extinguishing from the MT servicing arena. In reply to the poll question “Would you like to know about the status of your original data and what will happen to the data afterwards?”, all respondents picked out the Yes, definitely answer option. Once more, it is crystal clear that the MT user community wishes to be reported about how the data they first hand in for engine development is processed, and whereabouts these data sets and their status is like later, i.e. once their data sets have been used for engine creation. As Elia Yuste, BDM at Pangeanic, stressed on the webinar slide on Customization, the PangeaMT team defines themselves as data consultants and engine customizers. Whenever someone wishes to commission a custom PangeaMT engine, the team strives to analyze, clean, enhance and report on the data that the client has provided. The client’s approval on X number of bilingual segments or other data cleaning/enhancement processes may be requested. Only then the training (creation) of the customized machine translation engine(s) will take place and presented to the client in the PangeaMT platform. The customization process is an absolutely must that Pangeanic takes very seriously indeed. That is no contradiction but an essential requirement to then providing the client with a platform, such as Pangea’s, with a range of DIY or user-empowering capabilities. Namely, the user is enabled to manage their own bilingual data assets and custom in-domain engines. In other words, they can then get freely engaged in expanding their own PangeaMT eco-system, adding more TMX 1.4b files out of new translations and post-edited files to retrain their engines on their own, access MT quantitative and qualitative reporting files in the platform control panel, retrieving any MT job done by X user at a given time, and a long etcétera. The PangeaMT platform comes paired with an API, which allows for integration with other enterprise systems and workflows. As an example, Andi Frank, Pangeanic’s German language lead, demoed the PangeaMT plug-in for SDL Trados Studio from the translator’s perspective. All PangeaMT solution features are the result of carefully listening to our clients’ needs and beta testing periods. These features are thoroughly tested by the Pangeanic team of translators and project managers. This is part of our secret for success. What we wish our customers to enjoy and benefit from when using the PangeaMT plaform and related technologies is what we had been longing for as a language service provider. Last but not least, the webinar was closed with a well-received GALA Marketplace Offer. All those registered to the webinar will be able to benefit from a free data consultancy and engine customization period starting now and lasting until end of November’13. We recommend that you stay tuned for future PangeaMT technology adoption campaigns and news. Do not hesitate to get in touch and subscribe to our Blog. The webinar blog entry is worth reading. And… if you missed the webinar yesterday, you may find the ppt on Slideshare and the video recording on Vimeo, kindly reproduced by the GALA organizers.